Romi Rain is a drop-dead gorgeous Italian Boston-born beauty! She has been in the industry since 2012, and has starred in 200+ films! She was recently named the prestigious 2018 Xbiz Female Performer of the Year and we were lucky enough to have Romi as our May 2018 Bang Babe! I caught up with Romi to get down n dirty for a Bang.com Hosted Reddit Ask Me Anything! -In n Out or Shake Shack? AND MORE! Watch the FULL video below and be sure to check out the entire AMA here! 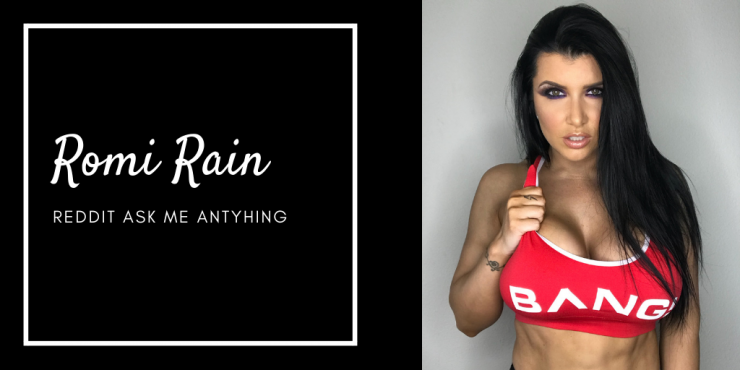 Check out Romi Rain on social media!